Wrap around hangers, similar to t straps, are used when there is no fascia to attach the gutter. The wrap around hanger goes all the way around the outside of the gutter and gives the gutter better support than the t strap hanger. 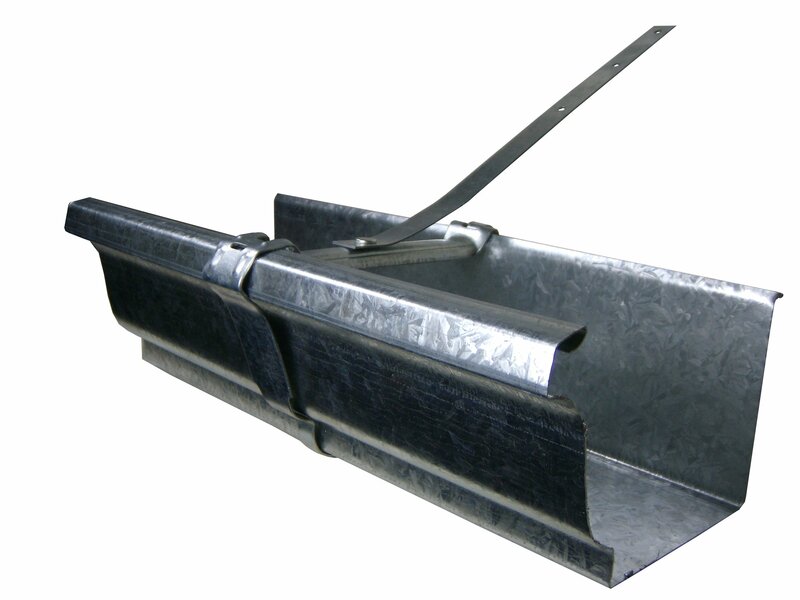 K style wrap around gutter hangers are available in aluminum, galvanized, copper and lead coated copper.